Seemingly by sheer luck, I managed to catch Royston Tan’s (the director of the famous local movie, 15) documentary/movie called “Old Places” on Okto channel on our National Day evening. Being someone who isn’t a big fan of television, not watching tv for years (unless special occasions like live telecast of the World Cup. Have i been living in a cave?? Hehe). A total of 47 old or so forgotten places Royston and the production crew found, visited and filmed, delightfully with a Canon 5DMII. Short segments but still with sweet colours. Hopefully in future I do get to own one set just like that or similar for work and UE usage as well. There I was, riveted to my seat watching as they introduced locations and forgotten professions in Singapore. Many of the venues brought back pure nostalgia for me, most of which I had visited or experienced during the 80s and 90s. 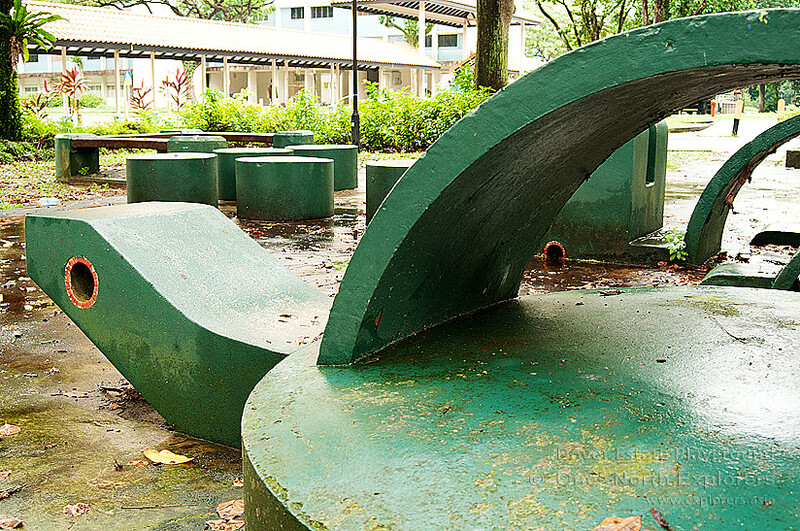 I could feel tears welling up as I remember the old playgrounds… with sand, metal tubes climbing structures, rubber tyre swings, wooden plank see-saws, metal grating merry-go-rounds and stone white animal sculptures. 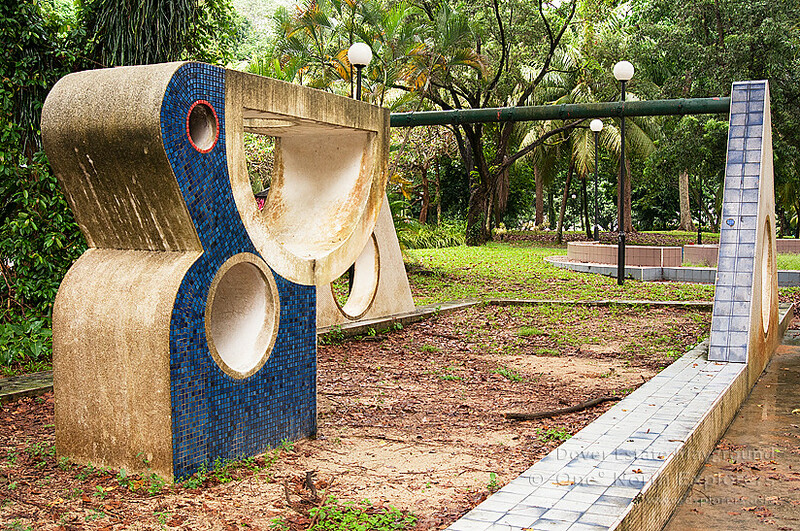 My childhood places like the double stone slides right in front of the Clementi A&W outlet, Pasir Ris park playground opened in 1987, dragon playgrounds in Jurong West and much more. There yesterday, gone today. Recalling the things me and my friends would do while playing catching, jumping from great heights which will put today’s kids to shame, peeing in the sand, setting off Yakult bottle rockets with sparkler powder, climbing in catching games to the highest point, teasing the catcher then jumping off into the sand and many more naughty antics, during my kiddy days. Those were the carefree days unlike today, where most kids stay indoors contented with their computer games and virtual worlds. Or contend with the artificial rubber/foam pits they call playgrounds now. Heh. The real world is a much more dangerous place now? Seemingly a slightly smaller version of the usual dragon playgrounds, i may be wrong though. The sand is replaced by rubber/foam surface. My friends and I tried getting up to the top and taking the slide down. Felt the hardened rubber/foam isn't as safe after such a long period of time, almost had a sprain landing from the slide. Still prefer the sand. An original dragon playground with REAL sand. Apart from this Toa Payoh and the AMK one, i do not know of any other big dragon playgrounds elsewhere. The most recent one i had last seen prior to this recce trip, was one in Jurong West St.52 which had been demolished since. My visit was the next day after "Old Places" showed on television. I spent 2 hours, exploring the different photographic angles i could squeeze from this old venue. But the mosquitos were rather relentless, i gave up after two hours. But thankfully i had taken quite a large number of photos of this playground and its surrounding neighbourhood. News is that enbloc of the neighbourhood is in the works, and this old playground won't be around too long. Quick, head down to take photos before it's gone for good! Playgrounds in the past had beautiful tiles, now? Sigh. Bland. Scribbles of teenage angst, we all been through that. Aaron: I visited the playground on a weary November afternoon in 2011 after the estate was vacated. Understandably, the sand pit was teeming with weeds and algae had blanketed the Pelican's visage. Knowing that the estate would soon become a distant memory, I whipped out my camera and snapped a number of pictures to remember the playground by. Who knows? Tomorrow this playground may become an empty grass field, waiting to be filled up with condominiums by some hungry private developer. The stone Pelican has played host to numerous generations of kids. The Pelican and the beam where swings made out of chains and rubber tires used to hang. The hare has seen better days. 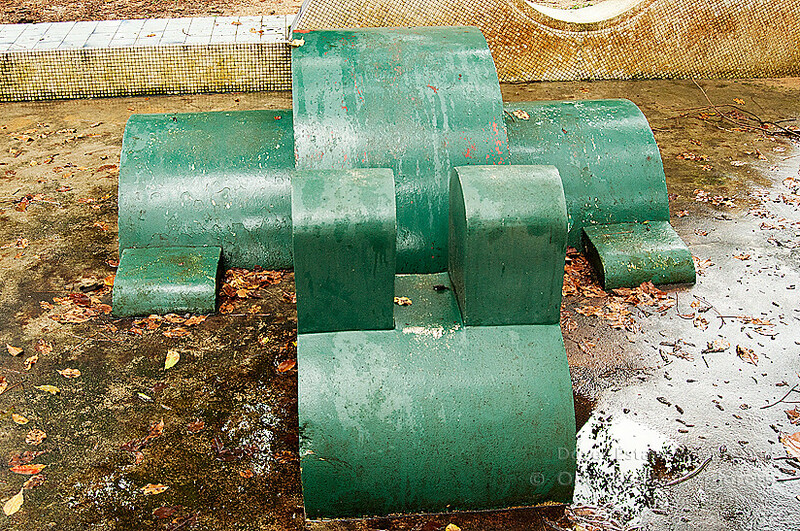 The tortoise and the hare, albeit faded, were both given a fresh coat of darthouse green paint prior to the estate's en-bloc redevelopment for their swansong. Algae has taken over most of the Pelican's visage. Thankfully the cerulean mosaic tiles remain unscathed. 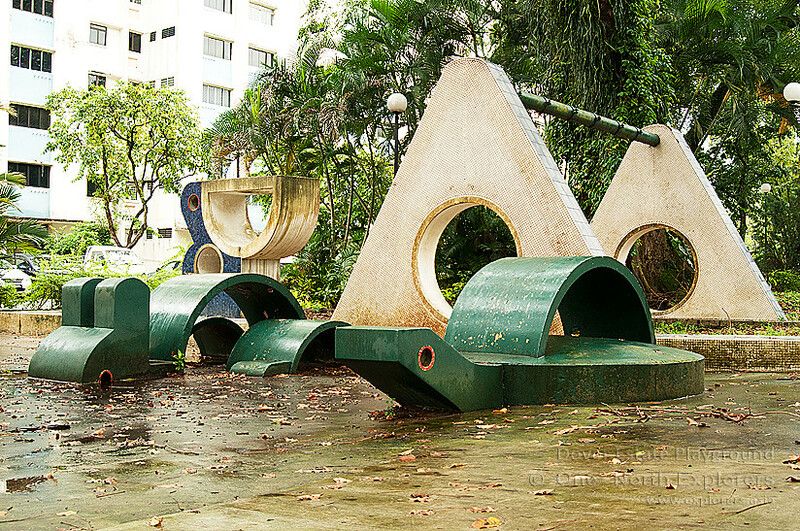 Little did anyone know, a very old form of playground (apart from the metal tubes in 1950s era), i remember watching a Mandarin variety programme with the hosts visiting the Lim Chu Kang Rural Centre (which incidentally called many other names like Neo Tiew abandoned estate, 'ghost town' and others). In the show, a young man showed how he used to play at this old structure during his childhood days, by running across it's stone white surface. And did he looked pleased when he did his demonstration most willingly for a few more times. The above mentioned video has been found. I could only recall my visit when the residents were still living there. The market hawker had the BEST duck noodles i had ever tasted. And it cost only $1.50, plus the good soya bean drink. I am very sure many who had been based in Sungei Gedong camp across the road would vouch for the food here. Sadly, everything is now gone. The area has turned into a site for FIBUA use, and you can see many foreign workers hanging out at the blocks' void decks, drinking and 'chilling out' during the evenings. Not much to see in recent times, we would come out with an article on this venue in due time. With photos we took before the place got really trashed out by probably silly thrillseekers and rampant vandalism. Re-discovered these two see-saws quite by accident, as I was actually out to recce for locations for my outdoor wedding shoot. Have noticed them before, but never gave them much thought till the idea of an article on old forgotten playgrounds was conceptualized. If anyone knows of any surviving ones, please let us know!!! 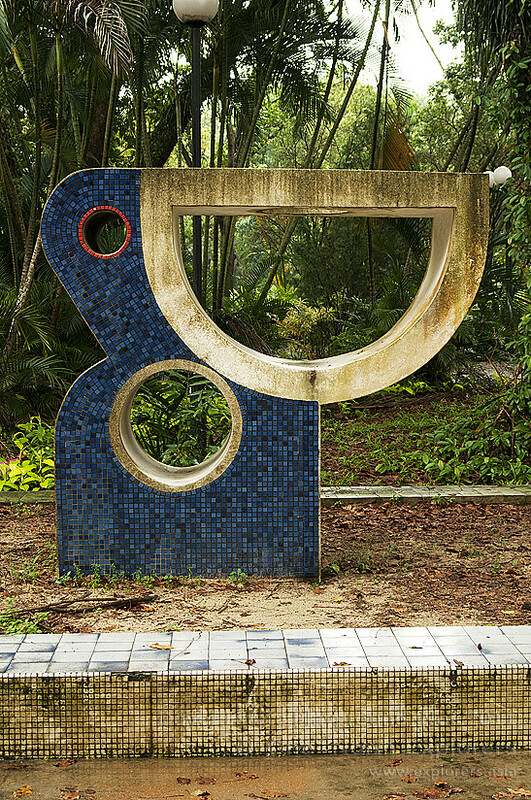 Nice write up, we just started exploring the old playgrounds with our kids too. 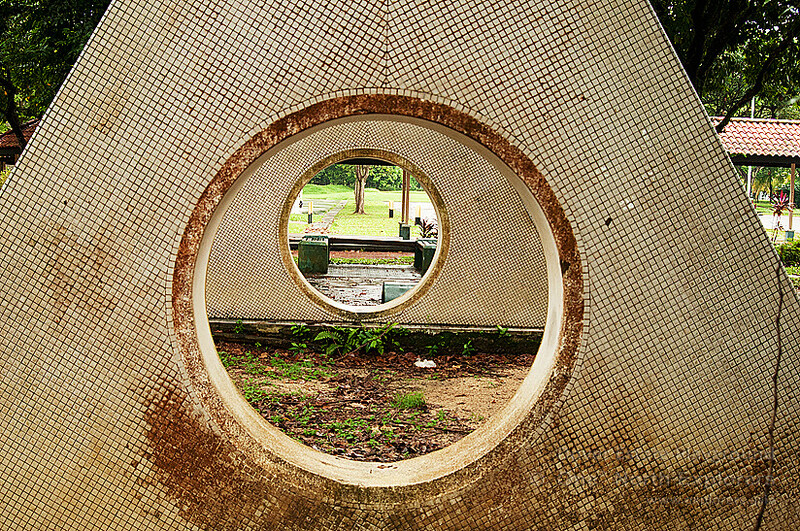 I only know of one old (not oldest but might be last one) merry-go-round in Upper-Seletar reservoir. 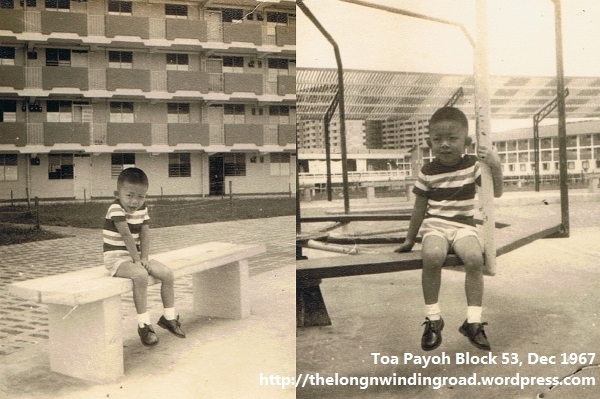 (http://sengkangbabies.blogspot.com/2011/02/this-coming-sunday-we-are-roaming-toa.html). Happy exploring! Great photos, loved the old playgrounds, many memories brought back to me when I was a kid, playing, running and jumping around with friends, not worrying about pressure and stress, just play and fun! 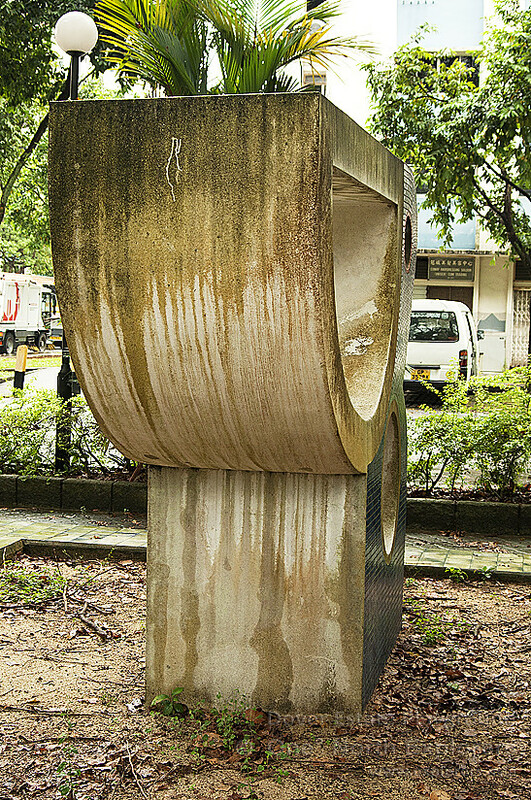 I had done my own photography walkabout on the old places, covered the Clementi Central Old Playground and Dover Estate Old Playground, hope to cover AMK, TPY and Dakota Crescent in my next walkabout. Hope to explore and add more photos to it!